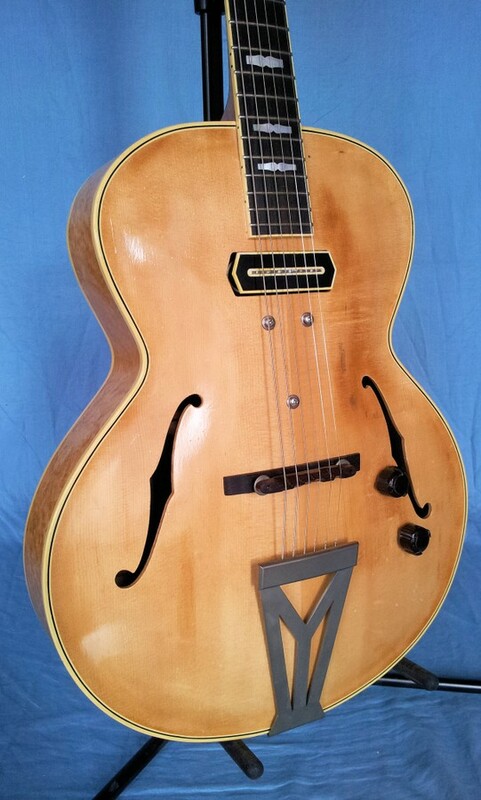 Jud Wilhite plays a guitar that was finished in the Commemorative Charlie Christian Collection # 34515. 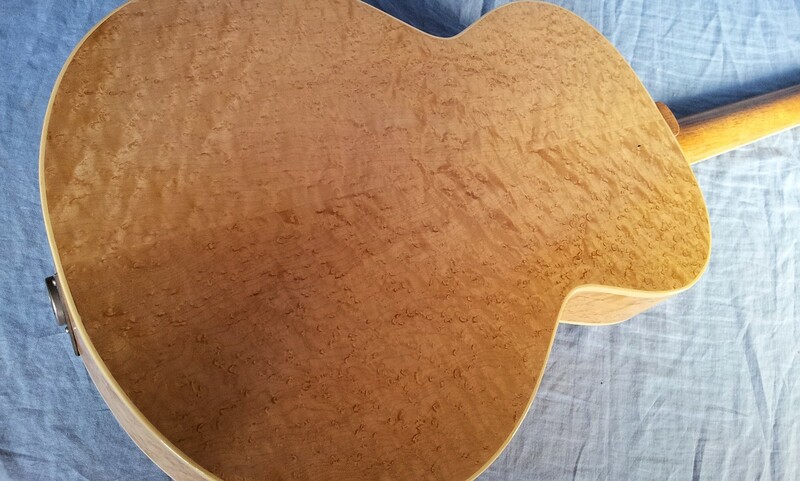 This is a 16 inch guitar with carved European spruce top, X-braced. 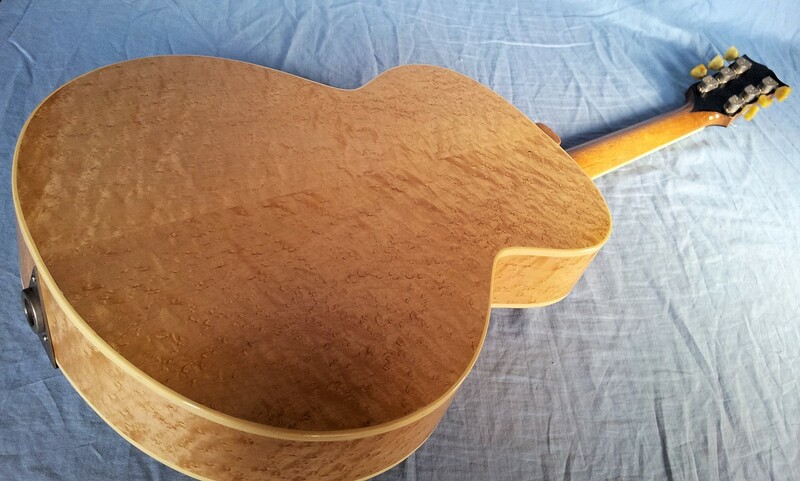 Birds'eye maple solid sides and solid back. 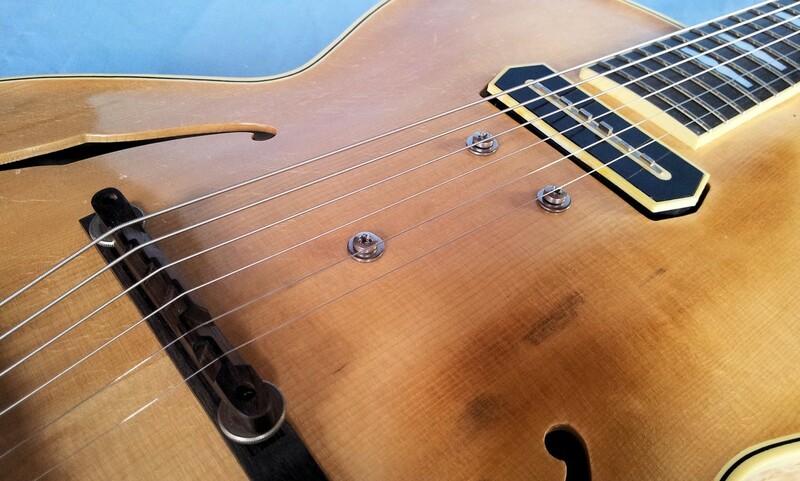 The antique nickel Grover tuners with Catalin handmade knobs really stand out on this instrument. 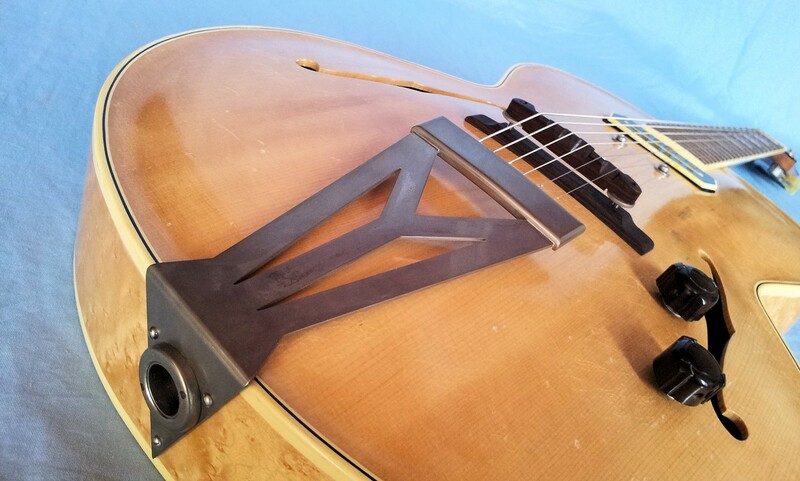 Strong acoustic sound an clear, yet warm amplified character through the compensated CC pickup. 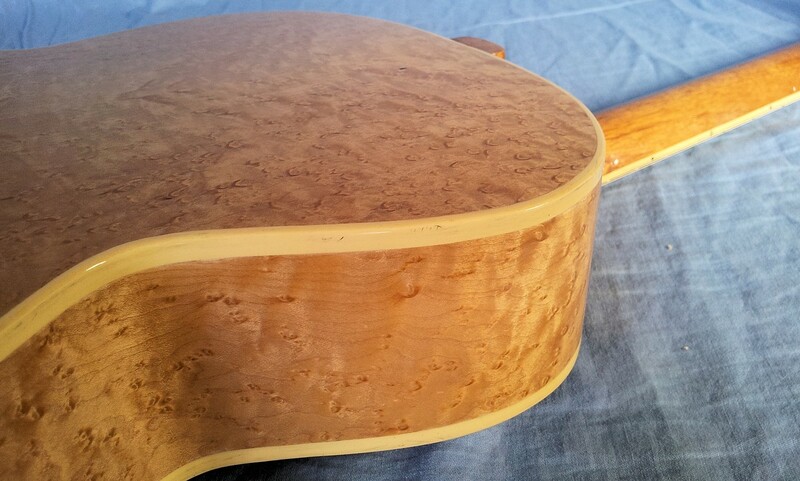 Spanish cedar neck that makes the guitar sing and respond to the slightest touch. 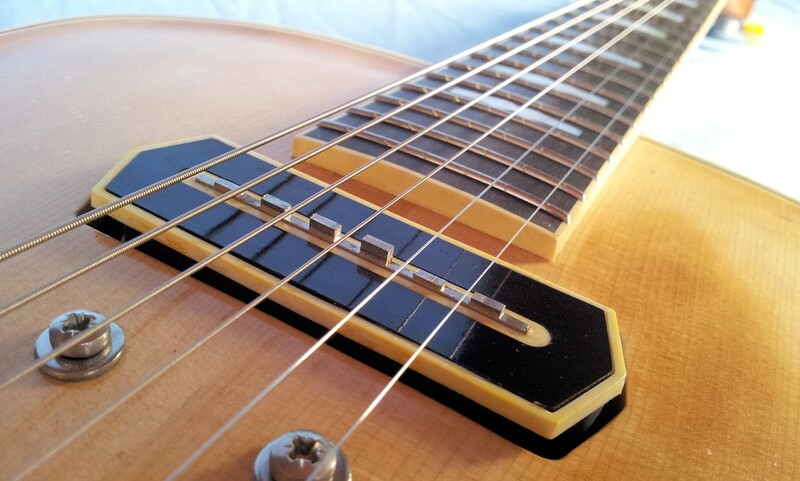 Handcut 'open book' inlays in mother of pearl on an old style 10 inch radius ebony fingerboard. 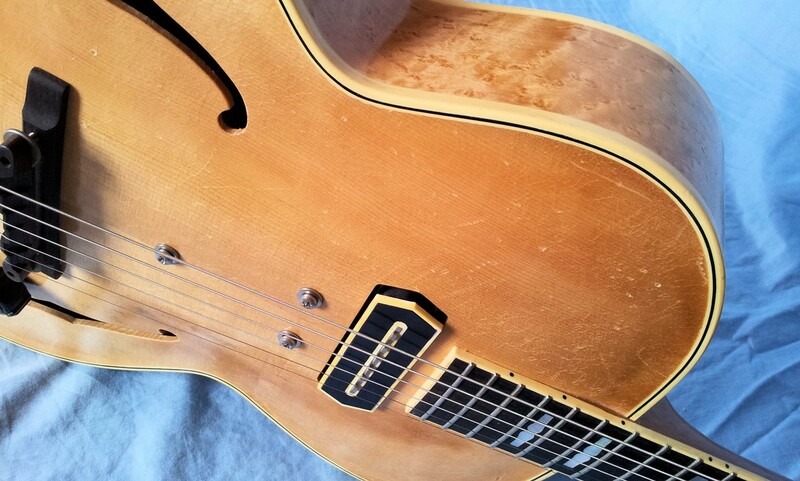 The fit and finish on the guitar is so good and I love the vintage vibe and marks and scratches. The playability is top notch, and excellent all the way around. 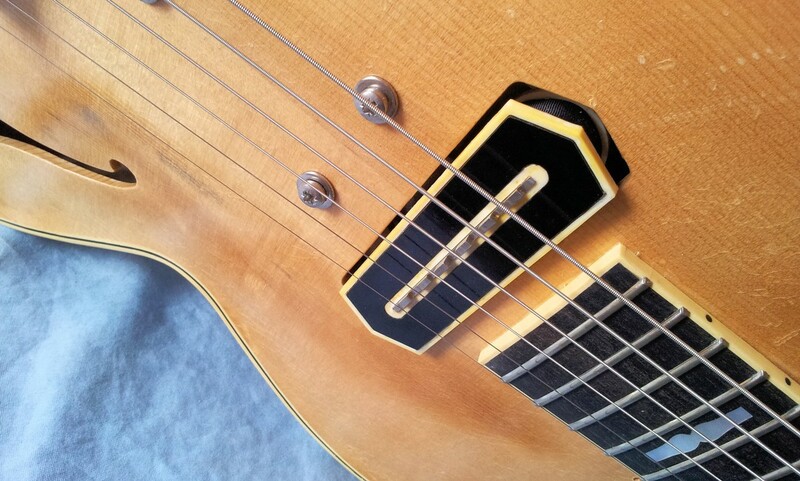 The thing I love the most is the electric tone. 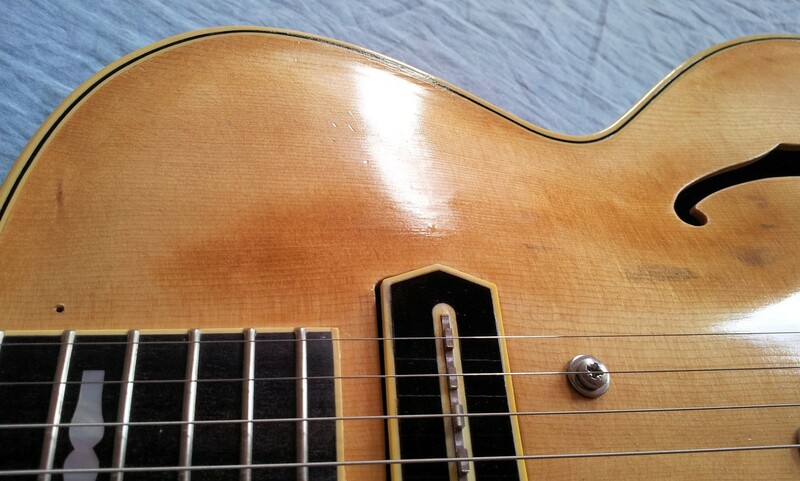 I have a Lollar Charlie Christian humbucker route in a laminated jazz box. I prefer it to the previous humbucker, but it still wasn’t the tone I was searching for, but the full CC pickup in the 150 package is another level. After an hour putting it through the paces I can tell this is/will be my favorite electric tone, the tone I’ve been searching for. Great for lead work, but I love this setup for pick style chord melody—perfect for me in every way there. I know that tone is more than the pickup, but the whole package bringing it together. 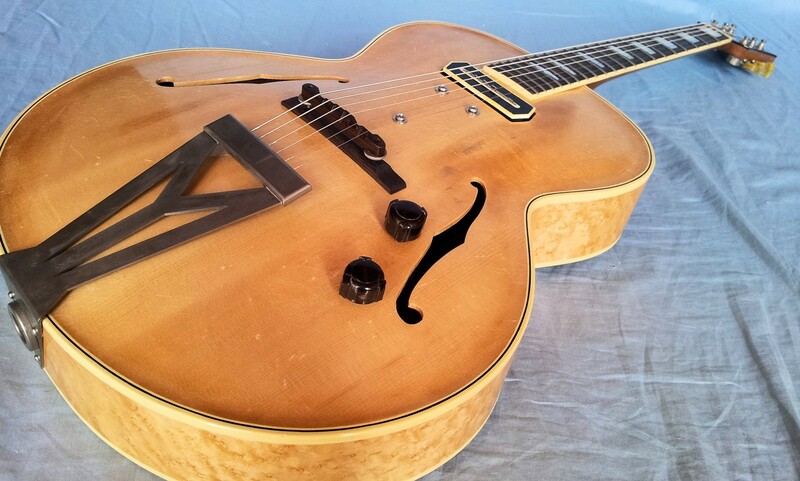 Love the tailpiece, knobs and the tuning pegs are beautiful. Amazing work Daniel, thanks for this guitar. I’ll have a lot of fun dialing in its nuances.